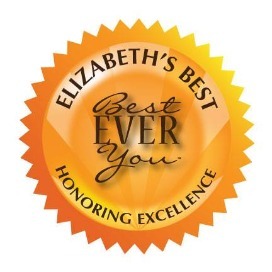 "Awesome various sizes of bottles for different uses" and "Great Tasting" were just some of the comments our for teenage sons made about this water. One tested it out at baseball practice and was thankful he had brought a second bottle with him. Our family of six tested this against tap water, filtered water from the refrigerator and two other brands of bottled water and each person in our family selected ​Waiākea Hawaiian Volcanic Water as their favorite. Originating as both snowmelt and rain on the Big Island’s Mauna Loa volcano, Waiākea Hawaiian Volcanic Water is filtered through thousands of feet of porous volcanic rock, producing one of the most delicious alkaline and electrolyte-rich natural waters in the world. For every liter bought, Waiākea donates 650 liters of clean water to disadvantaged communities in rural Africa through Pump Aid, and in accordance with the Hawaiian practice and notion of “ma?lama i ka ‘aina”, Waiakea is proud to be certified CarbonNeutral(R) for its variety of eco-initiatives. Whether you’re an avid surfer, Olympian or Yoga Mom, Waiākea will keep you optimally hydrated and performing at your best. Waiākea is naturally filtered through thousands of feet of porous volcanic rock that give it a variety of health benefits. pH and remove toxins from the body. Most alkaline waters on the market use ionization processes, electrolysis or added baking soda to artificially create alkaline water from municipal sources. Waiākea boasts natural alkalinity and a unique mineral composition that creates a lasting pH that does not decrease over time. If our goal is to be healthy, why would we drink or eat anything artificial? 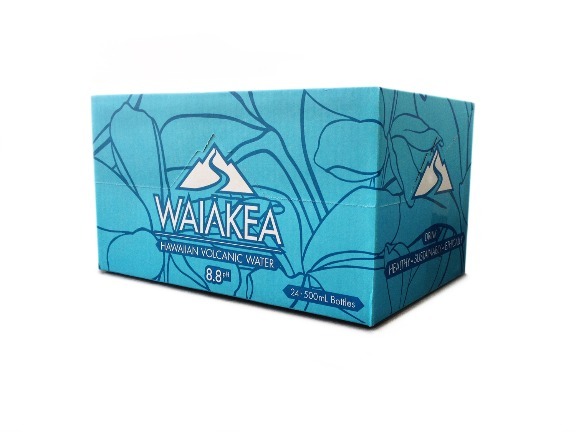 Waiākea prides itself on using high-grade 100% RPET, or recycled polyethylene terephtalate, for all of its bottles. RPET is post-consumer recycled plastic and has incredible environmental advantages. On top of this, we only use the highest quality RPET to make our bottles, bottles that are also BPA Free. Waiākea participates in a variety of regional reforestation and carbon offset projects through partnerships with The CarbonNeutral® company and Ecometrica. All of these initiatives led Waiākea to be the first domestic premium bottled water to be certified CarbonNeutral®. dies from a water-related illness. Waiākea was founded to create positive change for not only the environment, but also for people in need throughout the world. For every liter of Waiākea you buy, Waiākea donates 650 liters of clean water to those in need in Africa through Pump Aid. The impact Pump Aid has made with the help of Waiākea is measurable: More children in school, fewer people with preventable water-borne illnesses and malnutrition, more time for women to devote to other needs. We are proud that our product can change and save lives. Our goal is to expand throughout sub-Saharan Africa over the next few years. FCC Disclosure: We are not paid or compensated in any way for this review.